In every start up’s conference, you will find a panel about startup growth challenges and secret recipes.. If we ask you to spell out a growth strategy for B2B SaaS companies starting with the letters G R O W T H, can you finish this challenge in one minute? Our answers are Google Adwords, Referral Marketing, On-page and Off-page SEO, Word-of-mouth Marketing, Targeted Press Releases and Historical Optimisation. While those are the popular answers to growth, there are additional growth strategies for early B2B SaaS companies to look at this post, we will introduce five more strategies that have been used successfully by leading companies. Software as a Service (SaaS) companies have unique characteristics, so they require distinctive marketing strategies of their own. Firstly, as the name suggests, they sell not only a product, which is the software, but also a service. Therefore, their marketing teams have to dedicate effort on both the service and the product. Secondly, since most SaaS companies are B2B, their customers are to a large extent long-term, not one-off like many B2Cs. As a result, their revenues depend greatly on existing customers, and their marketing teams’ principal objective is to retain customers. According to a research by Bain & Co, if SaaS companies can increase customer retention by only 5%, they can increase their businesses’ profitability by a large amount of 75%. Thirdly, due to the nature of the product they sell and the industry they are in, SaaS products tend to have short sales cycle, and in most cases, their greatest asset is information. Therefore, one of the most successful marketing strategies used by B2B SaaS companies is to deliver top-notch content marketing. As a result, growth strategies are of high importance to B2B SaaS companies, not only for the ultimate reason of expanding the company and customer base. It is first and foremost to have a clear framework in analysing the distinctive features that a SaaS company has and coming up with the most suitable method for each stage of growth (ranging from Acquisition, Activation, Retention, Revenue to Referral). In this post, we would like to introduce five effective growth strategies that have been adopted by many leading SaaS companies. Content marketing is considered one of the most frequently-used strategies by SaaS companies to drive leads and increase customer engagement. According to a research conducted by Impact BND, consumers engage with about 11.4 pieces of content before they decide to make a purchase. Moreover, content marketing results in compounding effect of return. Compared with pay-per-click advertising, content continues to generate leads even when you stop writing new blog posts and produce new videos or webinars. However, producing high-quality content is a process easier said than done. Every B2B SaaS company is recommended to produce evergreen content. It is defined as search-optimized content that stays relevant for readers for a long period of time, and have search traffic growing over time. Examples of evergreen content are listicles, tips, how-to content, customers’ reviews and videos that attract customers at every stage of AARRR funnel. Write for beginners and Avoid overly technical language: Since experts might have plenty of expertise in the topics you generate content about, you might want to direct your evergreen content to a large audience, and most of them might be beginners. Therefore, you are advised to avoid overly technical language, or if you want to use it then be prepared to explain it. Repurpose your content: When you create a great piece of content, you can convert it into blog post, video, attached PDF and other forms. 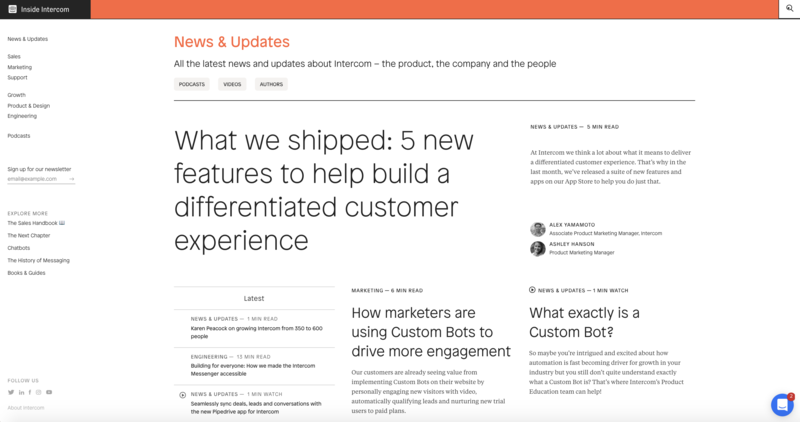 Intercom (customer communication platform) is a representative example of a B2B SaaS company that has taken great use of its content marketing. They have grown from $0 to $50 million in annual revenue in a sheer four years, and served 17,000 paying customers. Their growth success revolves around a successful strategy: targeted, evergreen content marketing. Firstly, they conducted thorough keyword research to identify the terms that their customers care most about. They are “user engagement”, “pricing models”, and “customer support”. From there, they write blog posts evolving those keywords, and attract a steady stream of inbound traffic to each of those posts. Secondly, as you can easily observe from Intercom’s articles, they tend to pick up on interesting topics and emerging ideas in customer support and startup growth, and give their own spin and opinions about that topic. This thought-leadership content plays a vital role in growing links and SEO for Intercom. However, knowing that one article would not immediately translate to a customer, the third tactic used by Intercom is to retarget customers. 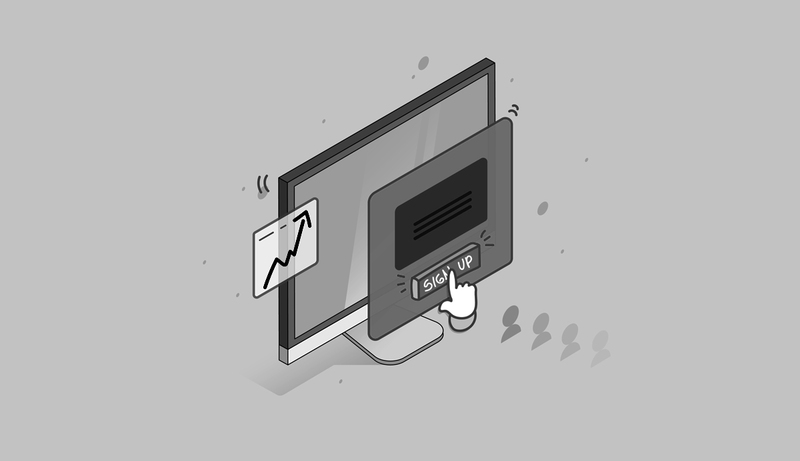 Content upgrade offers and newsletters targeted to a group of customers who have shown to read a certain article are examples of granular retargeting that Intercom has used. Many SaaS businesses sometimes decide to collaborate by running a co-marketing campaign (create an ebook, host a webinar and publish a shared research) to leverage each other’s following and potentially reach different audience. While there is no concrete rule about co-marketing, it is advisable that both brands compliment the other’s product offering, and share a similar viewpoint to business. Does the partnership make sense from a branding point of view? Is your target market similar to that of your potential partner? What will your brand get out from this co-marketing strategy? For some brands it might be reach (for instance, the partnering company has a large active mail list or social media following), or access to certain technologies (such as superior app-building skills). Do you feel comfortable working with that brand? After all, credibility and reputation are the bedrocks of any partnerships. Hubspot and Linkedin Sales Navigator is a successful co-marketing strategy, since they are able to answer above questions and complement each other. LinkedIn Sales Navigator is a social selling tool that helps sales teams to target, understand and engage with leads and prospects. However, its problem was that it was separate from customer relationship management (CRM) tool. It was time-consuming for salespeople to see a lead in LinkedIn then open another tab for their CRM. The partnership with Hubspot solves this problem. 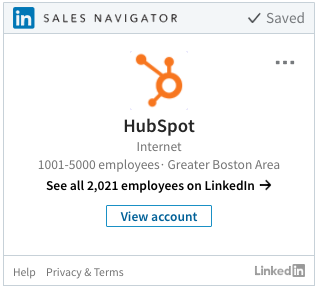 Salespeople can easily look at LinkedIn page of their leads when they open Hubspot. Also, LinkedIn can be analyzed using Hubspot’s powerful social media metrics. Referral marketing is considered one of the most effective strategies that SaaS companies use. When one person refers a product to another, the referred party is 4x more likely to buy. Overall, word-of-mouth improves marketing effectiveness by 54%. The biggest debate around this strategy is whether or not companies should incentivize referrals, and if yes, what should be the incentives. Some people argue that you would not generate many referrals if there are no incentives in place, while others contend that if you incentivize too heavily, those referrals might not be of promising leads. The best advice is to research on what encourage people to refer your products (possibly by surveys), and test what works. Dropbox is regarded as the most successful case for a SaaS company using referral program. This strategy has helped the company attain 3900% user growth in only 15 months. The success of this strategy is based on customer psychology of trusting their friends’ and families’ recommendations. Moreover, referrals tend to be low cost and close quite quickly, as the incentives are typically SaaS companies’ own products. 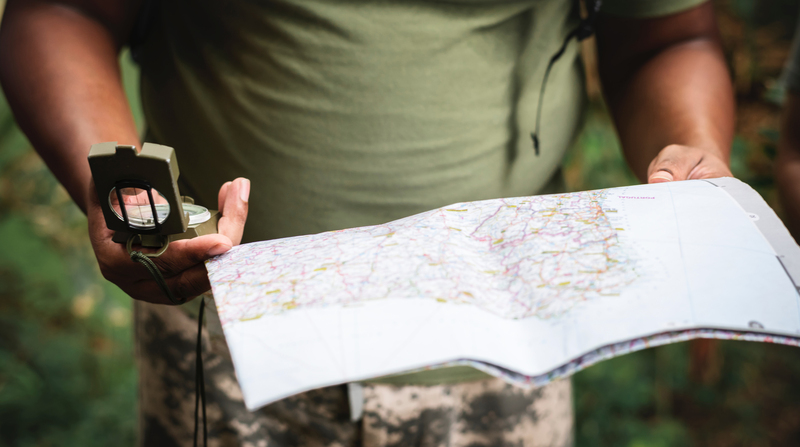 It is the final step of the easy six-stepped onboarding process. People have a clear view of the benefits of referring their friends and families. When people decide to use Dropbox, they signal that they want cloud storage. Hence, the more storage received as a reward from this program, the more satisfied they are. The whole process acts as a viral loop; when they receive rewards, they are eager to refer more to receive more. The process of sending invitation is particularly easy. 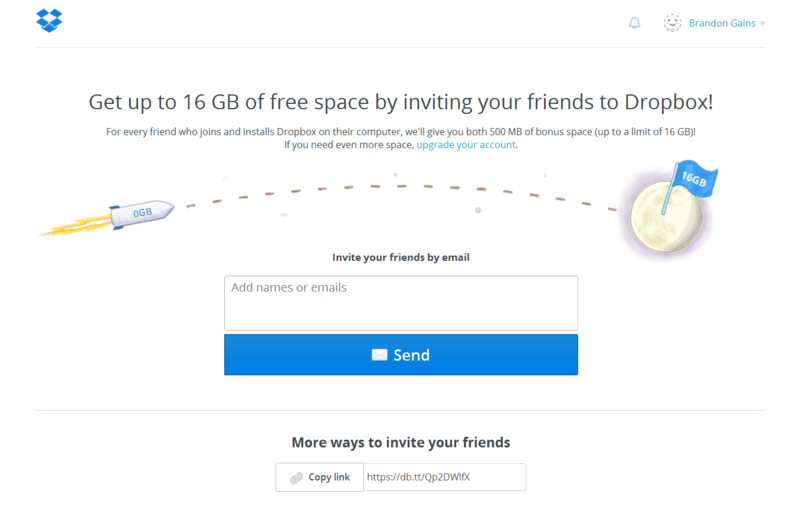 Dropbox allows people to send referral links to their friends on social media and by email. They even allow syncing contacts to make the whole process more convenient. 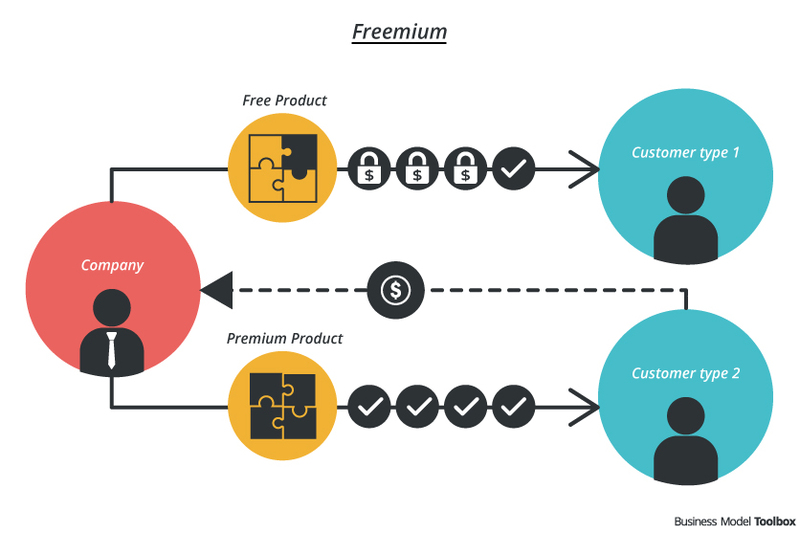 Freemium offer is a pricing strategy by which a product or service is provided free of charge, but money (premium) is charged for additional features, services, or virtual (online) or physical (offline) goods. Several factors contribute to the appeal of this strategy. Firstly, this strategy allows a new business to scale up without sacrificing resources on costly traditional marketing tools. SaaS companies usually have low marginal costs for additional users using their products for free, and a lot to gain if the additional users decide to upgrade or tell their friends about it. Secondly, the monthly subscription fees tend to be more sustainable than automatically charging after 30-day free trials. Thirdly, free service is a powerful driver for referring process. However, deciding what should be free is a complicated process. If you are not meeting the goal of attracting new users, it probably means that your free offerings are not attractive enough, and you need to provide better free features. On the other hand, if you are generating a lot of free users but only a few convert to premium customers, you might be giving too many free offerings. Also, if customers cannot clearly see what they would gain by upgrading, you need to change your offering. For example, while Dropbox attracts a lot of paying customers, LinkedIn does not because their customers cannot clearly see the advantages of having visibility to “who has viewed your profile”. To elaborate, Slack has nailed their freemium business model at generating free users and converting many of them into paid ones. Of Slack’s 4 million active users, 1.25 million are paid users. 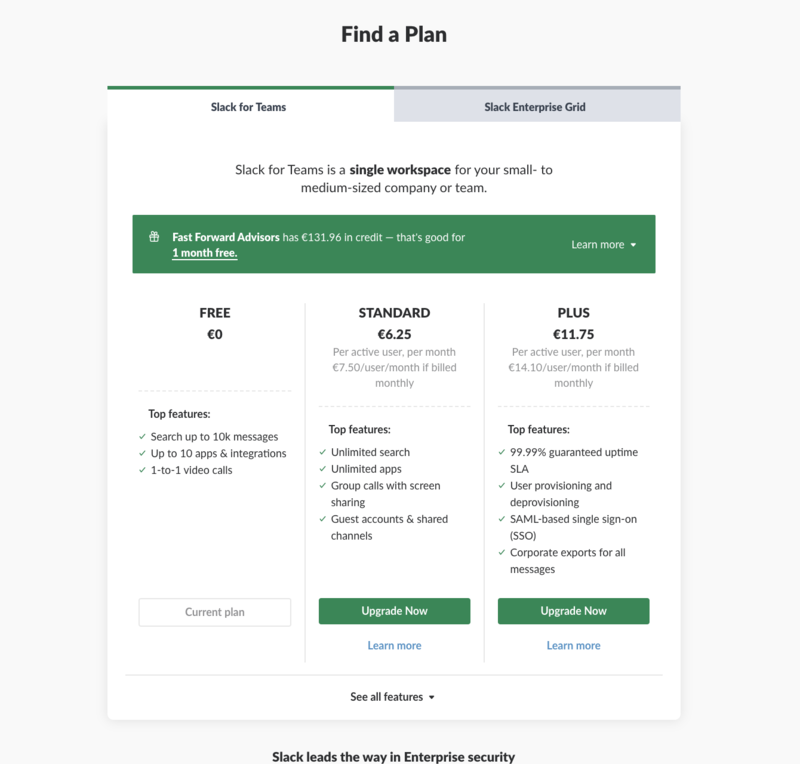 By solving key communication for teams and delivering high value right from the start even for free-plan users, Slack is an attractive tool for any teams. An excellent onboarding process, a non-pushy method, and a unique “Fair Billing” pricing model all contribute to the high paid user conversion rate. “Fair Billing” policy means that if Slack user stops using the software for 14 days, Slack will guarantee to give him or her the money back through prorated credit. Moreover, Slack makes the difference between free plan and paid plan highly visible, for example unlimited message search and guest account. 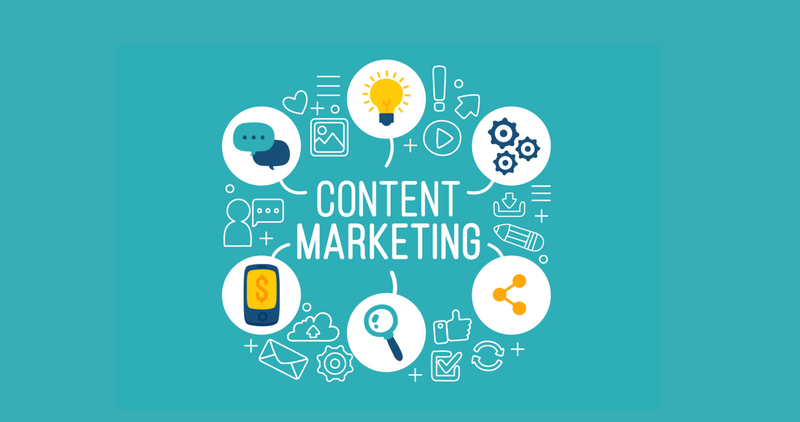 Content Marketing: This consists of your company’s blog, white papers, webinars and other forms of content. All of them are aimed at acquiring customers and prolonging customer engagement. Customer Support: This can come at the forms of live chat, emails and phones, all to give help to customers when they are in need. 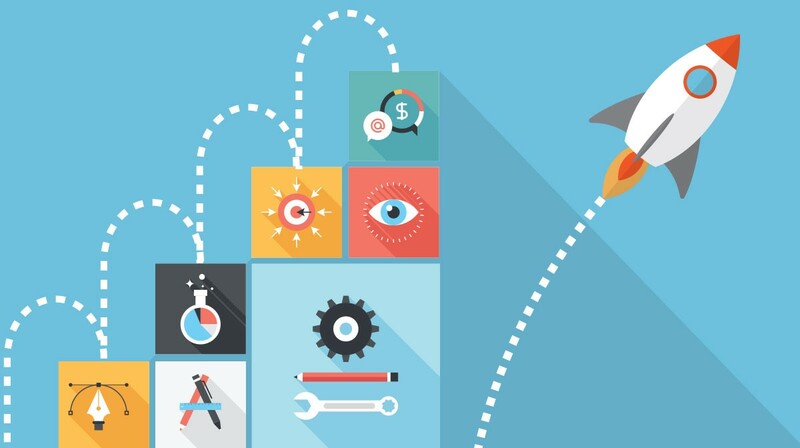 However, the analysis of leading companies in growth reveals that two above pillars are not enough, and companies should give more focus on the third pillar of user education strategy: Proactive customer success training. Different from two above pillars, Proactive customer success training is delivered proactively not reactively, or in other words, to get customers realize they have a problem they would not be able to solve by themselves. Buffer (a social media management platform) has utilized both this strategy very successfully. Buffer’s blog is often praised for in-depth posts with massive impact to customers. Their posts normally exceed 4,000 words and provide detailed instructions on how to improve social media or content marketing. 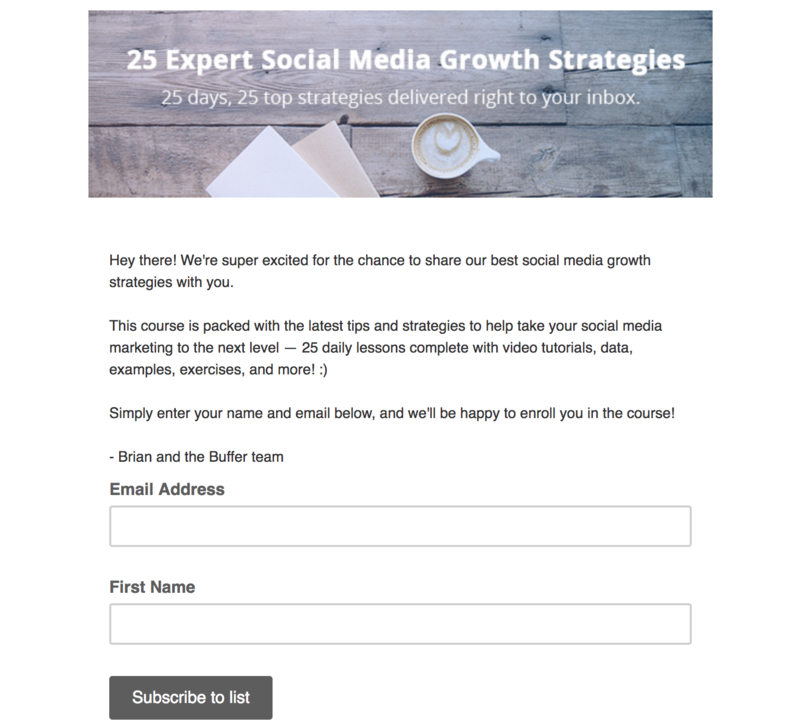 In addition to reactive customer education, they also run email course on how to develop social media marketing plans, and two of the most successful ones are “Social Media 101” and “25 Days of Actionable Social Media Strategies”. The former one acquired 18,353 subscribers, and more than 50% of them completed the course by opening all 7 emails, and the latter course attracted 20,709 subscribers with a 46% email open rate. Once the customers are educated about your product, they will be capable of pushing their boundaries of what is possible with your product, and hence are more likely to retain. In conclusion, before starting any marketing campaign, every company should have a detailed strategy analysing its market, product and customers, before moving on to what strategy should be taken. We have followed this strategy with our client ezCloud (a SaaS startup offering property management and channel management products for the hospitality industry). As a result, their sign ups have increased by 300% and CAC has reduced by 70%. With our help, ezCloud was able to define several different strategies, channels and tactics: SEM (Google Adwords, and specific local SEA search engines), SMM (Facebook), Email and Forum seeding. Interested in reading more content from us? You can read up on our research reports here. We are always looking to improve our content so that we can best serve our readers – please share with us your thoughts on the last mile delivery market in Southeast Asia below, on our Facebook page or our email at info@fastforwardadvisors.com. We look forward to hearing from you! How Can Exit Intent Popups Increase Your Revenue? Fast Forward Advisors Asia Pte. Ltd.